Our goal is to assist you in achieving optimal oral health and wellness for life. Dr. Syed Khalid is a diplomate of the American Board of Periodontology (board certified periodontist. A diplomate of the American Board of Periodontology has made significant achievements beyond the mandatory education requirements of the specialty of Periodontics. He believes patient education is always a high priority and helps patients understand the treatment them-selves so they can make an informed decision. Click here to read more about Dr. Khalid. The fields of Periodontics and Dental Implantology are rapidly progressing. To ensure you receive the highest quality of care, we engage in continual advanced education, exceeding the required credits of continued education. Traditional dentures have many disadvantages including slippage, bone loss and inability to eat certain foods. The modern replacement option for multiple teeth is implant secured dentures. Now with TeethXPress�, you will walk out with new teeth on the day of your procedure. Although dentures secured by implants have been successful for over 20 years, Dr. Khalid is at the forefront of the movement in Texas to provide same day teeth with TeethXpress. Dental Implants are the most natural form of tooth replacement. Dental Implants look, feel and function like your natural teeth. Dental Implants can also anchor partials and dentures, eliminating painful rubbing and allowing patients to again eat the foods they love. We are experts in the precision placement of Dental Implants. 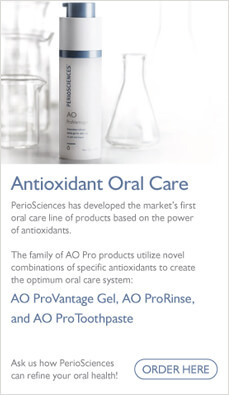 Research into the effects of Periodontal Disease has also progressed. Periodontal Disease is now correlated with an increased risk of many serious medical problems, such as heart disease and stroke. 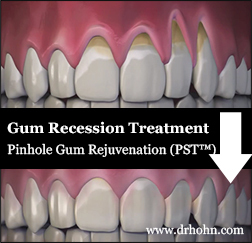 Untreated Periodontal Disease also remains the primary cause of tooth loss in adults. If you have been referred for a periodontal or dental implant evaluation, please call our office (281) 427-5118 at your earliest convenience. We look forward to providing you with excellent oral care for your overall health. We were one of the first dental offices to provide state-of-the-art 3-D Imaging and continue to take pride in utilizing the newest technology. This imaging has changed the presurgical and pretreatment planning providing more predictable outcomes and the lessening of surgical complications. 3-D imaging may be used with orthodontics, implant placement, endodontics for root morphology and proximity of vital structures in surgical extractions.